Twin axle galvanised launching trolley, new tyres and wheel bearings. 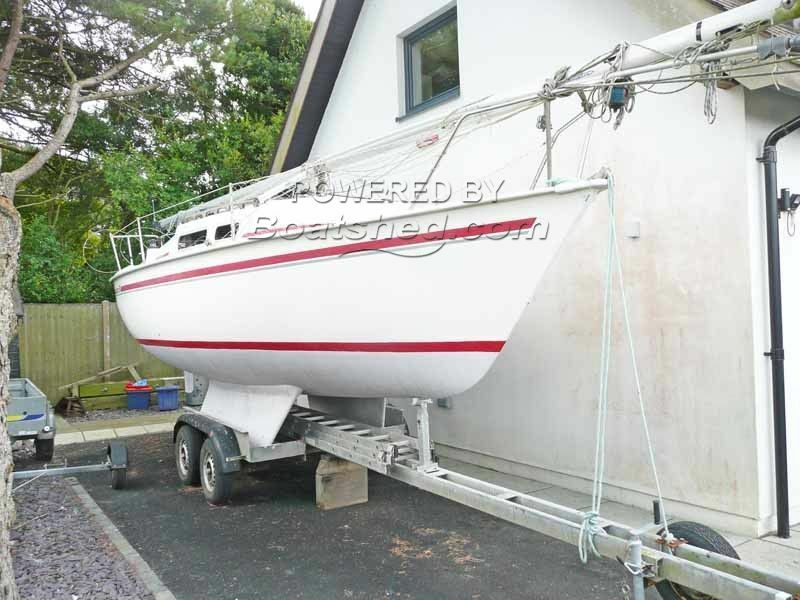 'Trusty' GRP dinghy included at the asking price. Advansea instrument suite and VHF radio fitted new 2011. The Jaguar 24 is an attractive, well mannered, nicely put together small cruiser. This particular Jaguar 24 was completely built and fitted out as a demonstration boat by Canvey Yacht Builders. Since then she has been well cared for and has had new standing rigging in 2010, a new engine in 2008 and new navigation instruments and VHF radio in 2011. This Jaguar 24 has been personally photographed and viewed by Chris Tindall of Boatshed North Wales. Click here for contact details. Sorry, this boat was not designed by Tony Castro. It was a hull design extended at the transom from a jaguar 23. I know, I built it.